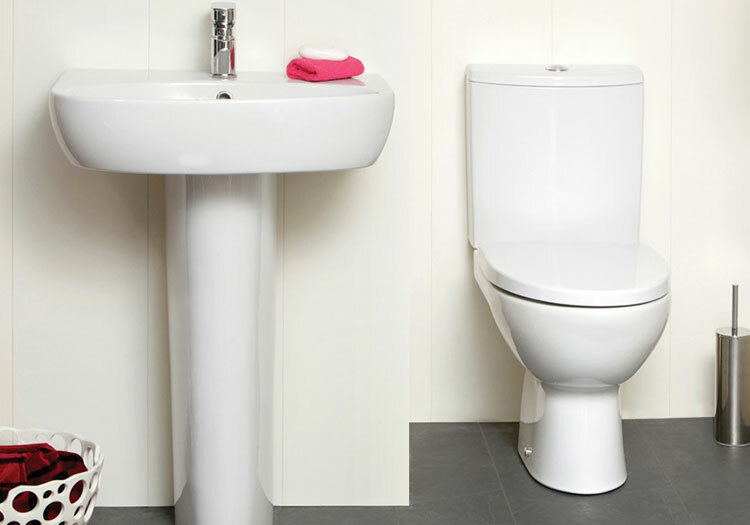 The Parva range is ideal for any size bathrooms due to its flexible size options in washbasins. Price includes Close Coupled WC complete with soft close seat. 500mm or 550mm Basin and Full Pedestal. Upgrade your mono basin mixer for €30. Choose one of three.